American Manganese Inc. Pilot Plant Nears Operational Readiness – American Manganese Inc.
Larry W. Reaugh, President and Chief Executive Officer of American Manganese Inc. (“American Manganese” or “AMY” or the “Company”), (TSX.V: AMY | OTC US: AMYZF | FSE: 2AM) reports that he expects the Company’s pilot plant to be commissioned during the week of December 17, 2018 to carry out Stage 1 and 2 testing out of five stages. Stage 1 and 2 consist of the latest process developments on handling industrial feedstock that have been sourced from a U.S. recycler. The Company plans to file a Continuing Patent Application for Stages 1 and 2 as it adds to the original patent pending core technology in Stages 3 and 4. Stage 5 also incorporates a newer technology, for which bench scale development work has been completed to reduce by-product production and rinsing requirements. The pilot plant will process one tonne of battery cathode material at 1 kg/hr. It should be noted that the Company’s pilot plant at Artillery Peak, built in 2011 to process manganese metals and dioxides, was designed for 1 kg/hr but actually processed up to 20 kg/hr. 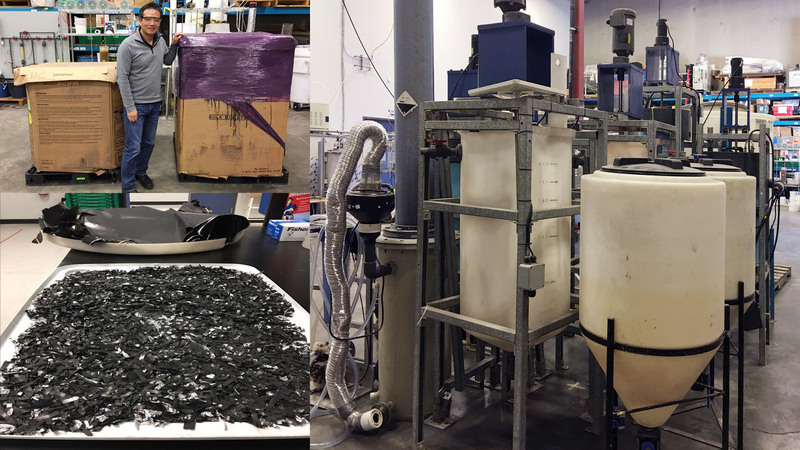 “Kemetco has been extremely diligent in their research and development to verify that the process design will not only be successful in recovering cathode materials, but that it will be an effective process on an industrial scale,” Mr. Reaugh added.